Did you know that crooked teeth can cause more problems than an unsightly smile? Crooked teeth often cause a host of dental complications, such as increased incidence of decay, increased gum disease advancement and abnormal wear on your temporomandibular joint (TMJ). One of the most common reasons patients of all ages look into orthodontics, or braces, in Dublin is to improve their appearance. 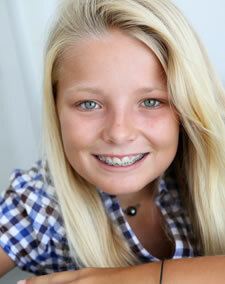 Orthodontics can straighten your teeth and give you a gorgeous smile to be proud of. However, there are other important reasons to consider straightening crooked teeth besides improving your appearance. Crooked teeth are much more difficult to clean effectively. This increases the incidence of cavities, especially in between the teeth. Without proper dental hygiene, gum disease can begin and advance in those hard to reach areas. Crooked teeth can also place excessive stress on the TMJ, causing jaw pain and headaches. With orthodontics, you can lessen your chances of developing cavities, gum disease and TMJ difficulties. Braces gradually move the teeth by placing directionally controlled force upon them. Orthodontic technology today offers a variety of materials that include: metal, wire, ceramic or plastic. Some are less visible than others and are preferred by most patients. A consultation with Dr. Zoe Huang is the best way to begin if you are considering orthodontics. Treatment with braces in Dublin typically lasts from a year to thirty months. Treatment time varies depending upon your individual needs. Response to treatment can vary from person to person as well. You will work closely with Dr. Huang to complete your treatment as efficiently and quickly as possible. Are you looking for orthodontic treatment to straighten your teeth? Call our office to find out more about braces in Dublin and we will be happy to schedule your consultation appointment with Dr. Huang.